A very beautiful Shadow art is created by Mr. Wajid Khan of Sardar Vallabh Bhai Patel, The freedom fighter of India and also known as the Iron Man of India. 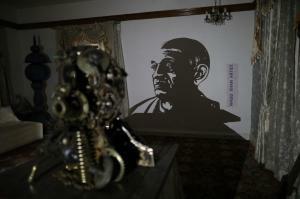 INDORE, MADHYA PRADESH, INDIA, November 1, 2018 /EINPresswire.com/ — On 143rd birth anniversary of Sardar Vallabhbhai Patel (Iron Man of India), Wajid Khan introduced a unique shadow art which depicts Sardar Patel through a shadow. Astonishingly, the shadow art was made out of iron parts such as automobile scrap, industrial equipment and so forth. 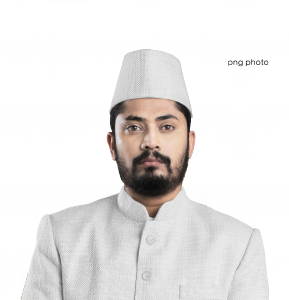 Wajid Khan believes in the principles of Sardar Vallabhbhai Patel and always admire his fierce nationalism and idea of oneness and unity. Sardar Patel is well known as “The Iron Man of India”, creative genius Wajid collected some iron parts such as scissors, engine part, spring, nuts, bolts, chain, barring, industrial equipment and other automotive parts and transformed it into the great Sardar Vallabh Bhai Patel through its shadow. Sardar Patel once said “Manpower without unity is not a strength unless it is harmonized and united properly, then it becomes a spiritual power”, Wajid follows his footprint and work in team to provide livelihood to humble group of people. Wajid worked for the welfare of underprivileged, needy and socially backward group of people. At present, Wajid has been working with such people in various projects such as iron sculptures of famous personalities including APJ Abdul Kalam and Nelson Mandela. Wajid Khan selflessly teaches various art forms such as spoon art, iron sculpture art, paintings and so forth to economically backward and needy group of people. The Prime Minister of India, Mr. Narendra Modi unveiled the world’s tallest statue of “Sardar Vallabhbhai Patel” known as Statue of Unity. Its cost is estimated to be around Rs.2,900 Crore and the cost may reach to Rs.4,000 Crore considering the cost that will be incurred for making it a tourist spot and for promotion and marketing across the globe. In this mega launch the creative art of Wajid Khan managed to gain appreciation and overwhelming response from the audience. Wajid believes that true appreciation and recognition to his art work is more important for him then million dollars. The creative genius holds Guinness book of world records, Limca book of world record and many other accolades from across India. Art is not the category that attracts significant population, still Wajid believes his creative art form will one day lead him to places. Indore based sculptor, shadow artist, creative artist, a painter and what not? 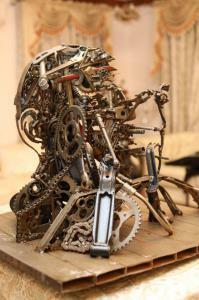 Wajid Khan is renowned for his creative arts and sculptures. He has specialized in carving canvas with nails. Recognizing his outstanding nail art, Khan was named in the Guinness Book of World Records, Limca Book of Records, and Asia Book of Records. Wajid Khan has been commissioned to design a unique sculpture for 2022 FIFA World Cup, to be held in Qatar.